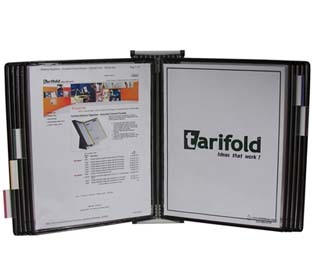 Place all frequently referenced data at your fingertips with the Tarifold wall unit. To create a set with more that 10 pockets, simply order the multiple of sets you need. For example, if you need a wall set with 20 pockets, order 2 sets of W271.